The Stevie® Awards have announced the seven executives who are chairing the specialized final judging committees for the 9th Annual Stevie Awards for Sales & Customer Service, the world's top sales awards and customer service awards program. Final judging began last week and will continue through February 4. Finalists in the competition were announced last week. Final judging committees are reviewing and rating the Finalists, and their average scores will determine the Gold, Silver and Bronze Stevie Award placements that will be announced during a gala event at the Bellagio in Las Vegas on February 27. The seven committee chairs have worked with the Stevie Awards to recruit and brief the members of the final judging committees, who will be named in a separate article next week. So let's meet our seven final judging committee chairs. 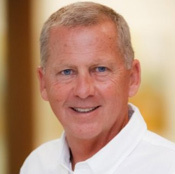 Ric Riddle serves as the vice president of Demand Generation at SalesStaff. He is responsible for global demand for the fast-growing SalesStaff revenue acceleration platform. He leads a team that integrates a variety of functions and has a material influence on the strategy and performance of the company. Ric oversees demand generation, market response, content marketing, social outreach, product marketing, and sales enablement. Ric brings more than twenty years of experience and energy in driving demand and stewarding customer success. He is a recognized thought leader and has served as a senior executive at some of the most well-known enterprise brands, bringing a dynamic blend of creativity, ground level execution, and scalable best practices. Ric’s integrated approach to engaging target audiences, shaping brand attitudes, and generating qualified pipeline for sales teams makes him a valuable contributor to the SalesStaff executive team. Ric lives in Austin, Texas yet remains passionate about the University of Houston and his beloved Astros. His favorite activities are those spent with his wife and three children. Cigdem was born in Istanbul, Turkey. After graduating from the Sankt George College in Istanbul, she went to study in Austria, and after leaving university completed her studies with an MBA in International Management from UBI Brussels. While studying in Austria, Cigdem worked actively for the international student organization AIESEC, both as Local Committee President of Innsbruck and as National Committee President of Austria. 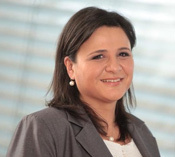 Now based in Bonn, Germany, Cigdem is married with a young son and daughter. Her family is multilingual and can communicate in four languages. Todd Quarfot joined PrimePay in 2001 as vice president, Sales and Marketing. As the Chief Sales Officer, he is currently responsible for all sales groups and regions across the U.S. In addition, he leads a corporate team with responsibility for sales training, sales operations and enablement, and product group management. Before joining PrimePay, Todd spent about seven years with Gartner, Inc., based in Stamford, Connecticut. While at Gartner, he served in several leadership positions in sales and marketing that culminated in the role of vice president, Sales Process, focused on worldwide sales technology adoption and sales management process. Prior to joining Gartner, Todd spent more than 12 years with the Eastman Kodak Company. Todd graduated from Bowling Green State University, Ohio, in 1982. Peggy Heafey has been with Marriott International for 26 years. Her background includes experience in Reservation and Group Sales, Training and Development, and Customer Care. Under her leadership, the department has grown from providing primary services for travel agents, to 8 desks and functions supporting all travel, group, wholesale, and OTA intermediary partners and over 4,000 Marriott properties globally. 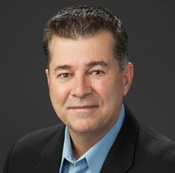 David Graffia has over 20 years of channel experience in the area of IT sales and consulting. He has expertise in cloud services, infrastructure and asset management, electronic procurement, software licensing, and services (both managed and professional). As vice president, Sales for dinCloud, David has established relationships and built partnerships with some of the industry’s largest global aggregators and Value Added Resellers including Ingram Micro, En Pointe Technologies, CDW, Insight Enterprises, and Tech Data. Prior to joining dinCloud, David spent nearly a decade at En Pointe Technologies, one of the largest Microsoft Licensing Solution Providers, where he served as vice president of Sales. In addition to sales and marketing, his responsibilities included managing the corporate strategy and the development of emerging technologies. 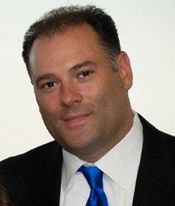 David has also worked in executive management at PC Mall and Hartford Computer Group. David has served on numerous advisory councils and is currently a member of the Technology Executives Club, IT Leaders Circle, and IT Marketing Institute. He enjoys building partnerships and broader business relationships, and is always willing to provide guidance and support. Commercial Electronic Office® portal, and supports the customer service officers (CSOs) on complex research transactions. Rosa’s teams are located in three sites: Los Angeles, California; Charlotte, North Carolina; and Jacksonville, Florida. 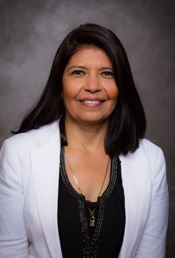 Previously, Rosa managed the Los Angeles Treasury Management Customer Service (TMCS) team, responsible for CSOs supporting Wholesale clients, and spent time as a product implementation manager. Prior to joining TMCS, Rosa worked with retail banking as a customer service manager, where she gained a keen understanding of customer needs and expectations. 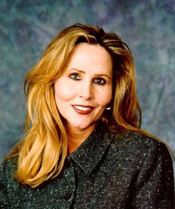 In 2014, Rosa received the Bronze Stevie® for Women in Business in the Category of Female Executive of the Year/Accounting and Financial Services. Rosa’s training includes Managing for Excellence, Achieving Extraordinary Customer Service, and Frontline Leadership. Tim Taylor has extensive experience in senior leadership positions with start-up and fast-growth companies on an international scale. 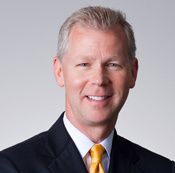 As founder and CEO of Tycom Corporation (now Kyocera Tycom Corp.), CEO of Tycom Dental Inc. (now SybronEndo Corporation, a division of Sybron Dental Specialties), and CEO of Tulon Inc., Tim has a track record of successful product development and company leadership in a variety of markets. Prior to joining the team at Telogis, he had been the director of Liquidmetal Saga Italy, a technology start-up company in the Veneto region of Italy aimed at the European luxury goods market. Tim earned a Bachelor of Arts in Russian Language and a Bachelor of Science in business administration from the University of Southern California.